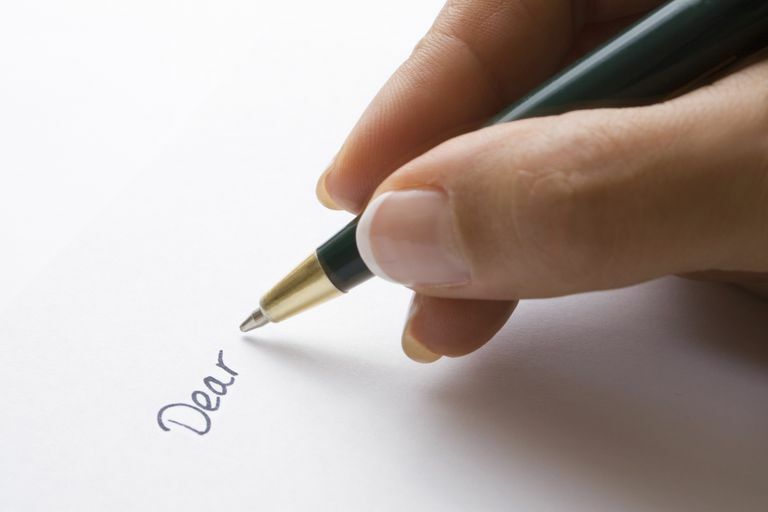 If you are a smoker, this sample letter can help you express to your friends and family what quitting means to you and help them know how they can best support and help you during the process. I am about to try and change my life for the better. I am going to quit smoking. I just wanted to write this letter to you so you know what to expect for the next month or so, since the process of nicotine withdrawal can be very challenging for me, and for those around me. (Most people do not realize it, but nicotine addiction is literally one of the hardest drugs to kick, even harder than heroin, due to how ingrained in our lives it usually is). Everyone reacts to the withdrawal symptoms differently, but in general, during the first two weeks (Hell Week and Heck Week), don't expect much from me. I will most likely not be my normal self. All of my attention will literally be taken up with fighting the physical and mental urges to smoke. I may cry, I may yell, I may ignore you. Worst of all, I may say hurtful things to you, but I want you to know that this is the nicotine talking, not my heart. I will apologize afterwards, once the poison has left my body and my mind has cleared, but for the moment, please, please remember that I love you, and let it roll off your back. You need to know that when a smoker quits, the body and the mind will try almost anything to trick the user into taking another puff. I may rationalize that "now is not a good time". I may question the worth of my existence. I may talk about feeling a sense of emptiness and loss. My body may develop aches and pains. I may not be able to sleep. I may act like the pain I am experiencing is all your fault. Please be aware that I am doing this for me, not for you. In this one important way, I have to be selfish, so that I cannot give the nicotine a reason to put the blame on anyone else. So you must not feel responsible for my discomfort and depression. Even if you feel you can't stand to see me this way, whatever you do, do not tell me it's OK to smoke, just to stop the pain. You have to be strong when I am weak, so do not agree with any "junkie thinking" I may come up with. Be there when I need a hug, but don't be hurt when I push you away. If I tell you to leave me alone, give me space, but don't go too far...I need to know you are near no matter what the nicotine says. Don't try to argue with me when I start to rationalize...silence is a more powerful message. Avoid the topic of cigarettes (because I'm trying to get them off my mind), unless I bring it up first. Do the best you can to act as if everything is normal. The more "normal" you act, the faster I will get there. Consciously avoid putting me into situations where I will be in the presence of smokers. This may mean avoiding favorite restaurants or bars, or hanging out with certain friends for awhile. Consciously avoid letting me get into stressful situations...if something stressful can be put off for a couple of weeks, please try to do so. If not, please try to cushion me. Help me avoid "trigger" situations...places or activities where I usually light up. (For example, don't plan long road trips for the next couple of weeks if I usually smoke in the car). Just keep telling me it will get better, that the emptiness and pain will fade, that you love me, and that this effort is worth it. Tell me I am strong. Tell me you are proud of me. But also, tell me you will be there no matter what I say or do. I just wanted to prepare you because the first few weeks are usually the worst, but be aware that it doesn't suddenly get better...it will be a gradual process. Also, please be aware that while I am doing this quit for me, you and those around me will benefit as well. I will be free from the shackles of needing to know where the closest cigarette store is. I will be free of the smell and stains. I will be free of an early death. And I will be free to spend more quality time with those I love. Thank you in advance for being strong enough to love me, and help me through this. Do You Know Where Most Teens Get Alcohol From?